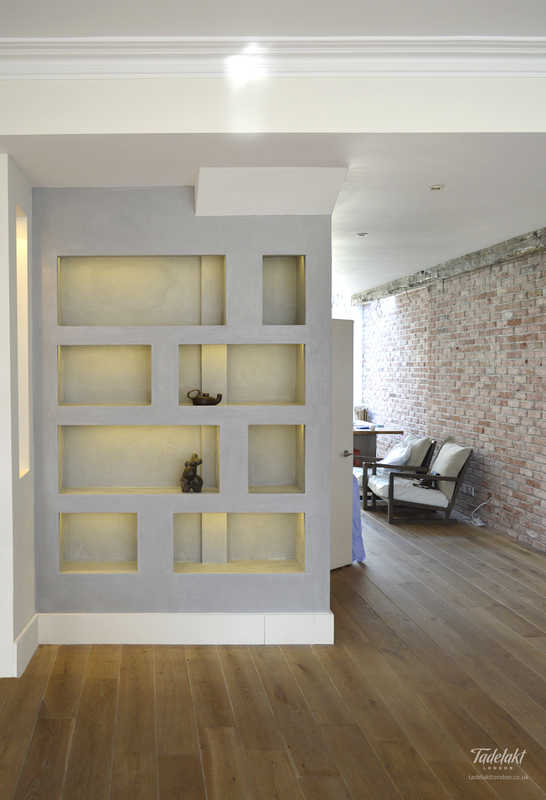 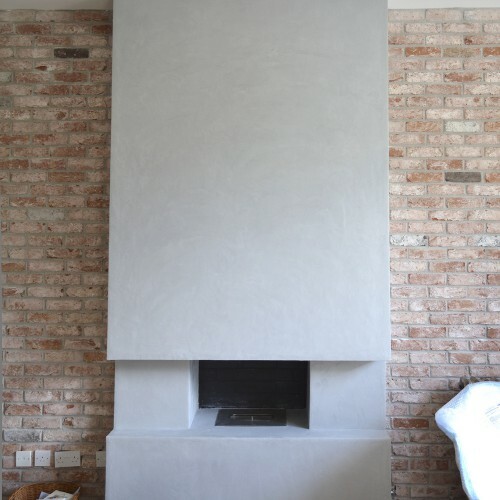 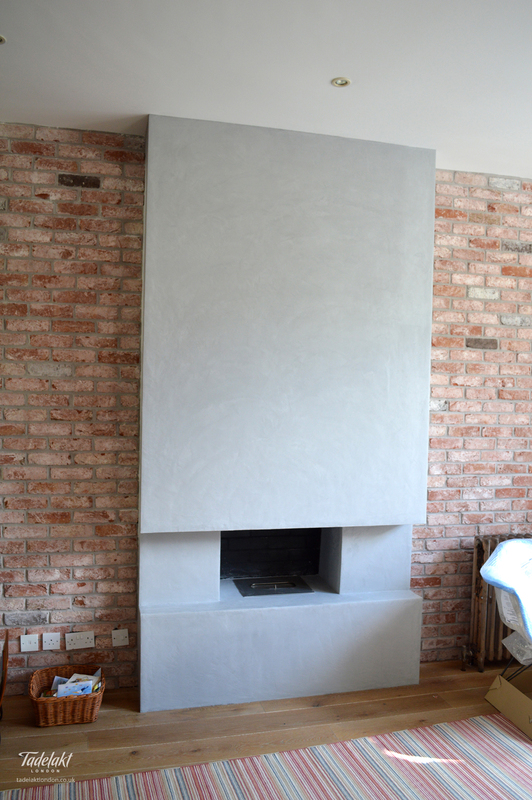 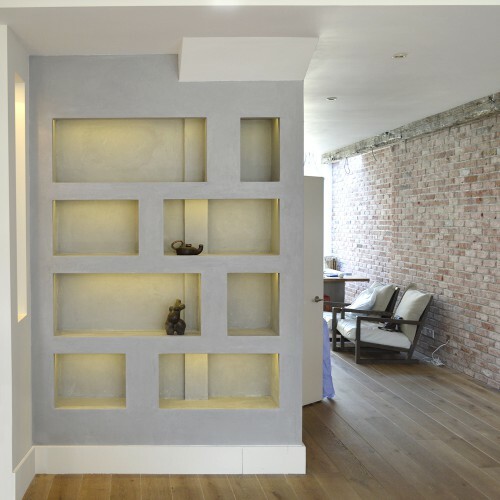 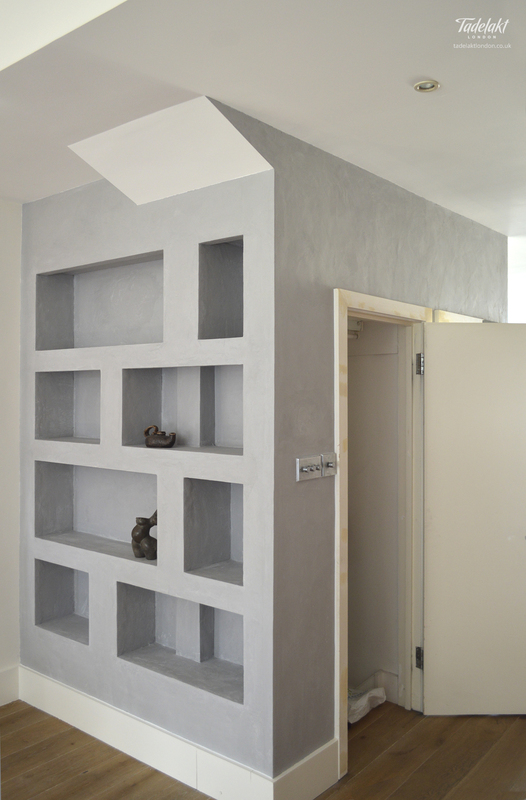 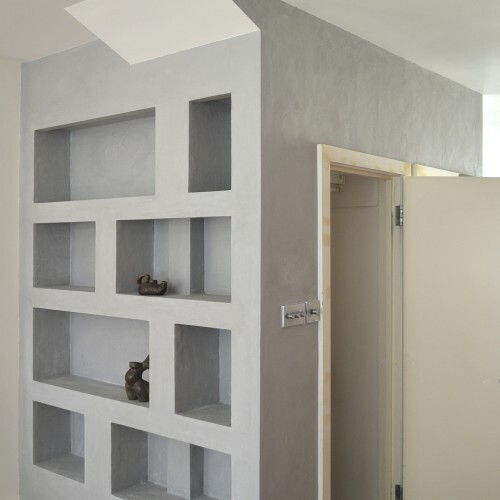 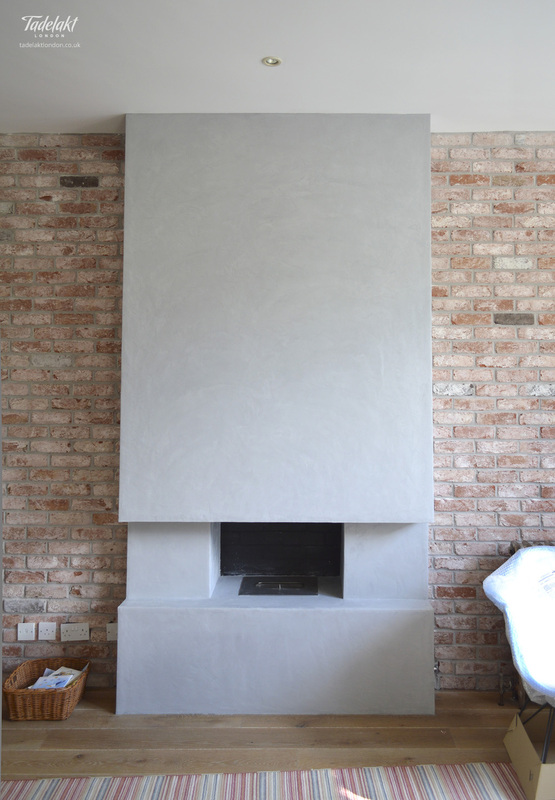 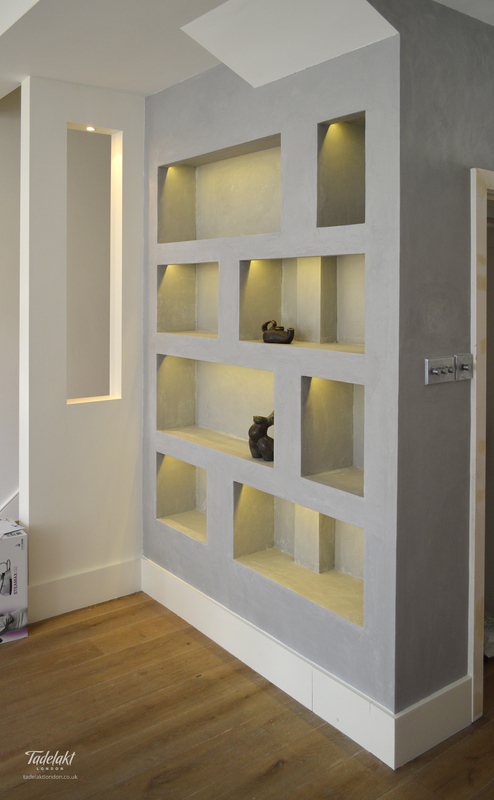 The versatility of the Tadelakt plaster finish is showcased here in this light grey living room bookcase with built-in lighting and again in the fireplace facing. 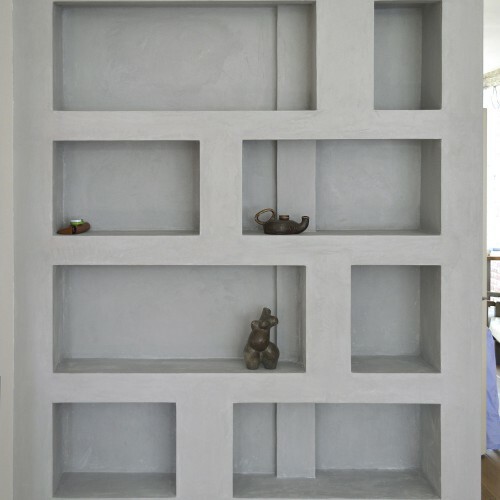 The smooth, marble-like finish is an excellent choice and works well with a large variety of styles. 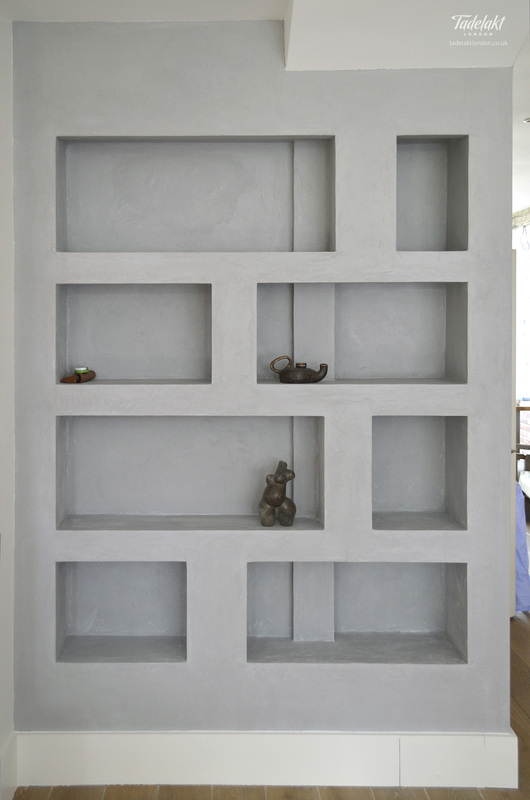 Its long lasting beauty surpasses all fads and trends.